Buddhist texts were initially passed on orally by monks, but were later written down and composed as manuscripts in various Indo-Aryan languages which were then translated into other local languages as Buddhism spread. They can be categorized in a number of ways. The Western terms "scripture" and "canonical" are applied to Buddhism in inconsistent ways by Western scholars: for example, one authority refers to "scriptures and other canonical texts", while another says that scriptures can be categorized into canonical, commentarial and pseudo-canonical. Buddhist traditions have generally divided these texts with their own categories and divisions, such as that between buddhavacana "word of the Buddha," many of which are known as "sutras," and other texts, such as shastras (treatises) or Abhidharma. These religious texts were written in many different languages and scripts but memorizing, reciting and copying the texts were of high value. Even after the development of printing, Buddhists preferred to keep to their original practices with these texts. According to Donald Lopez, criteria for determining what should be considered buddhavacana (buddha word) were developed at an early stage, and that the early formulations do not suggest that Dharma is limited to what was spoken by the historical Buddha. The Mahāsāṃghika and the Mūlasarvāstivāda considered both the Buddha's discourses, and of his disciples, to be buddhavacana. A number of different beings such as buddhas, disciples of the buddha, ṛṣis, and devas were considered capable to transmitting buddhavacana. The content of such a discourse was then to be collated with the sūtras, compared with the Vinaya, and evaluated against the nature of the Dharma. These texts may then be certified as true buddhavacana by a buddha, a saṃgha, a small group of elders, or one knowledgeable elder. In Theravada Buddhism, the standard collection of buddhavacana is the Pāli Canon. In East Asian Buddhism, what is considered buddhavacana is collected in the Chinese Buddhist canon. The most common edition of this is the Taishō Tripiṭaka. According to Venerable Hsuan Hua from the tradition of Chinese Buddhism, there are five types of beings who may speak the sutras of Buddhism: a buddha, a disciple of a buddha, a deva, a ṛṣi, or an emanation of one of these beings; however, they must first receive certification from a buddha that its contents are true Dharma. Then these sutras may be properly regarded as buddhavacana. Sometimes texts that are considered commentaries by some are regarded by others as Buddhavacana. Shingon Buddhism developed a system that assigned authorship of the early sutras to Gautama Buddha in his physical manifestation, of the Ekayana sutras to the Buddhas as Sambhoghakaya, and the Vajrayana texts to the Buddha as Dharmakaya. In Tibetan Buddhism, what is considered buddhavacana is collected in the Kangyur. The East Asian and Tibetan Buddhist canons always combined Buddhavacana with other literature in their standard collected editions. However, the general view of what is and is not buddhavacana is broadly similar between East Asian Buddhism and Tibetan Buddhism. 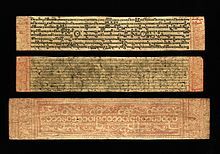 The Tibetan Kangyur, which belongs to the various schools of Tibetan Vajrayana Buddhism, in addition to containing sutras and vinaya, also contains tantras. 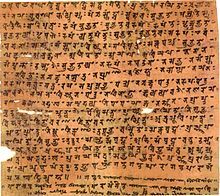 The earliest Buddhist texts were passed down orally in Middle Indo-Aryan languages called Prakrits, including Gāndhārī language, the early Magadhan language and Pali through the use of repetition, communal recitation and mnemonic devices. Doctrinal elaborations were preserved in Abhidharma works and later Karikas (verse expositions). As Buddhism spread geographically, these texts were translated into the local language, such as Chinese and Tibetan. The Pali canon was preserved in Sri Lanka where it was first written down in the first century BCE and the Theravadan Pali textual tradition developed there. The Sri Lankan Pali tradition developed extensive commentaries (Atthakatha) as well as sub-commentaries for the Pali Canon as well as treatises on Abhidhamma. Sutra commentaries and Abhidharma works also exist in Tibetan, Chinese, Korean and other East Asian languages. Important examples of non-canonical Pali texts are the Visuddhimagga, by Buddhaghosa, which is a compendium of Theravada teachings and the Mahavamsa, a historical Sri Lankan chronicle. The earliest known Buddhist manuscripts, recovered from the ancient civilization of Gandhara in north central Pakistan (near Taxila just south west of the capital Islamabad) are dated to the 1st century and constitute the Buddhist textual tradition of Gandharan Buddhism which was an important link between Indian and East Asian Buddhism. After the rise of the Kushans in India, Sanskrit was also widely used to record Buddhist texts. Sanskrit Buddhist literature later became the dominant tradition in India until the decline of Buddhism in India. Around the beginning of the Christian era, a new genre of sutra literature began to be written with a focus on the Bodhisattva idea, commonly known as Mahayana (great vehicle) sutras. Many of the Mahayana sutras were written in Sanskrit and then translated into the Tibetan and Chinese Buddhist canons (the Kangyur and the Taishō Tripiṭaka respectively) which then developed their own textual histories. The Mahayana sutras are traditionally considered by Mahayanists to be the word of the Buddha, but transmitted either in secret, via lineages of supernatural beings (such as the nagas), or revealed directly from other Buddhas or bodhisattvas. Some 600 Mahayana Sutras have survived in Sanskrit, or in Chinese and/or Tibetan translation. In the Mahayana tradition there are important works termed Shastras, or treatises which attempt to outline the sutra teachings and defend or expand on them. The works of important Buddhist philosophers like Nagarjuna, Vasubandhu and Dharmakirti are generally termed Shastras, and were written in Sanskrit. The treatise Awakening of Faith in the Mahayana (attributed by the faithful to Aśvaghoşa) strongly influenced east Asian Mahayana doctrine and inspired numerous commentaries authored by early Korean and Chinese Buddhist teachers. The late Seventh century saw the rise of another new class of Buddhist texts, the Tantras, which outlined new ritual practices and yogic techniques such as the use of Mandalas, Mudras and Fire sacrifices. Buddhist Tantras are key texts in Vajrayana Buddhism, which is the dominant form of Buddhism in Tibet. Some Buddhist texts evolved to become a virtual canon in themselves, and are referred to as vaipulya or extensive sutras. The Flower Garland Sutra is an example of a single sutra made up of other sutras, many of which, particularly the Gandavyuha Sutra still circulate as separate texts. Tibetan Buddhism has a unique and special class of texts called terma (Tibetan: gTer-ma). These are texts (or ritual objects, etc.) believed either composed or hidden by tantric masters and/or elementally secreted or encoded in the elements and retrieved, accessed or rediscovered by other tantric masters when appropriate. Termas are discovered by tertöns (Tibetan: gTer-stons), whose special function is to reveal these texts. Some termas are hidden in caves or similar places, but a few are said to be 'mind termas,' which are 'discovered' in the mind of the tertön. The Nyingma school (and Bön tradition) has a large terma literature. Many of the terma texts are said to have been written by Padmasambhava, who is particularly important to the Nyingmas. Probably the best known terma text is the so-called Tibetan book of the dead, the Bardo Thodol. Although many versions of the texts of the early Buddhist schools exist, the only complete collection of texts to survive in a Middle Indo-Aryan language is the Tipiṭaka (triple basket) of the Theravadin school. The other (parts of) extant versions of the Tripitakas of early schools include the Āgamas, which includes texts by the Sarvastivada and the Dharmaguptaka. The Chinese Buddhist canon contains a complete collection of early sutras in Chinese translation, their content is very similar to the Pali, differing in detail but not in the core doctrinal content. Parts of what is likely to be the canon of the Dharmaguptaka can be found amongst the Gandharan Buddhist Texts. Several early versions of the Vinaya Pitaka (from various schools) are also kept in the Chinese (Mahayana) Canon. The vinaya literature is primarily concerned with aspects of the monastic discipline. However, vinaya as a term is also contrasted with Dharma, where the pair (Dhamma-Vinaya) mean something like 'doctrine and discipline'. The vinaya literature in fact contains a considerable range of texts. There are, of course, those that discuss the monastic rules, how they came about, how they developed, and how they were applied. But the vinaya also contains some doctrinal expositions, ritual and liturgical texts, biographical stories, and some elements of the "Jatakas", or birth stories. Paradoxically, the text most closely associated with the vinaya, and the most frequently used portion of it, the Pratimoksha, is in itself not a canonical text in Theravada, even though almost all of it can be found in the canon. Mahāsānghika, Sarvāstivāda, Mahīshāsika, and Dharmagupta, originally in Indian languages, but only surviving in Chinese translation. In addition, portions survive of a number of vinayas in various languages. The Mahāvastu compiled by the Lokottaravadin sub-school of the Mahāsānghika was perhaps originally the preamble to their vinaya that became detached; hence, rather than dealing with the rules themselves, it takes the form of an extended biography of the Buddha, which it describes in terms of his progression through ten bhumis, or stages. This doctrine was later taken up by the Mahayana in a modified form as Vasubandhu's Ten Stages Sutra. Sūtra: prose discourses, especially short declarative discourses. Vyākarana: explanation, analysis. Discourses in question and answer format. These range in length up to 95 pages. The Pali Digha Nikaya contains 34 texts, including the Mahāparinibbāna Sutta and the Brahmajāla Sutta. The Dīrghāgama of the Dharmagupta also survives, in Chinese translation, and contains 30 sutras. These are the rest of the sutras of any length, and the Pali Majjhima Nikaya has 152 suttas. The Madhyamāgama of the Sarvāstivada containing 222 sutras survives in Chinese translation. This grouping consists of many short texts connected by theme, setting, or interlocutor. The Pali Samyutta Nikaya contains more than 2,800 sutras. The Samyuktāgama of the Sarvāstivada containing only 1,300 sutras survives in Chinese translation. Sutras with the same number of doctrinal items, comprise over 2,300 suttas in the Pali Anguttara Nikaya. The Chinese canon contains an Ekottarāgama that some scholars think belongs to the Mahāsanghika school. The Dhammapada: a collection of sayings and aphorisms. The Udana : a collection of inspired sayings in verse usually with a prose introduction that sets a context of sorts for the saying. The Sutta Nipata: parts of the Sutta Nipata, such as the Aṭṭhakavagga and Pārāyanavagga, are thought by some scholars to represent the earliest strata of the written canon. Many of the features of later texts, such as numbered lists of teachings, or complex doctrinal categories, are not present. Theragāthā and Therīgāthā two collections of biographical verse related to the disciples of the Buddha. Jataka: poems related to the so-called 'birth stories,' which recount former lives of the Buddha. These remain popular in many forms of Buddhism. Many of these texts are available in translation as well as in the original language. The Dhammapada, for instance, has a Pali version, three Chinese versions, a Tibetan version, and a Khotanese version. Abhidharma (in Pali, Abhidhamma) means 'further Dharma' and is concerned with the analysis of phenomena. It grew initially out of various lists of teachings such as the 37 Factors leading to Awakening. The Abhidharma literature is chiefly concerned with the analysis of phenomena and the relationships between them. The Theravāda Abhidhamma survives in the Pali Canon. Outside of the Theravada monasteries the Pali Abhidharma texts are not well known. A Sarvastivada Abhidharma, composed in Sanskrit, survives in Chinese and Tibetan traditions. Though the Theravādin Abhidhamma is well preserved and best known, a number of the early Eighteen Schools each had their own distinct Abhidharma collection with not very much common textual material, though sharing methodology. Not all schools accepted the Abhidharma as canonical. The Sautrāntika, for instance, held that the canon stopped with the vinaya and sutras. The rejection by some schools that dharmas (i.e. phenomena) are ultimately real, which the Theravada Abhidhamma, for instance, insists, is thought to be an important factor in the origin of the Mahayana. One early text not usually regarded as Buddhavacana is probably the Milinda pañha (literally The Questions of Milinda). This text is in the form of a dialogue between Nagasena, and the Indo-Greek King Menander (Pali: Milinda). It is a compendium of doctrine, and covers a range of subjects. It is included in some editions of the Pali Canon. Other early texts which are usually not considered 'canonical' are the Nettipakarana and the Petakopadesa - "The Book of Guidance" and "Instruction on the Pitaka". The Dhyāna sutras (Chan-jing) are a group of early Buddhist meditation texts which contain meditation teachings from the Sarvastivada school along with some early proto-Mahayana meditations. They were mostly the work of Buddhist Yoga teachers from Kashmir and were influential in Chinese Buddhism. The Buddhist poet Aśvaghoṣa composed an epic poem on the life of the Buddha called the Buddhacarita in the early second century CE. The Pali texts have an extensive commentarial literature much of which is still untranslated. These are attributed to scholars working in Sri Lanka such as Buddhaghosa (5th century CE) and Dhammapala. There are also sub-commentaries (tikka) or commentaries on the commentaries. Buddhaghosa was also the author of the Visuddhimagga, or Path of Purification, which is a manual of doctrine and practice according to the Mahavihara tradition of Sri Lanka and according to Nanamoli Bhikkhu is regarded as "the principal non-canonical authority of the Theravada." A similar albeit shorter work is the Vimuttimagga. Another highly influential Pali Theravada work is the Abhidhammattha-sangaha (11th or 12th century), a short introductory summary to the Abhidhamma. Buddhaghosa is known to have worked from Buddhist commentaries in the Sri Lankan Sinhala language, which are now lost. Sri Lankan literature in the vernacular contains many Buddhist works, including as classical Sinhala poems such as the Muvadevāvata (The Story of the Bodhisattva's Birth as King Mukhadeva, 12th century) and the Sasadāvata (The Story of the Bodhisattva's Birth as a Hare, 12th century) as well as prose works like the Dhampiyātuvā gätapadaya (Commentary on the Blessed Doctrine), a commentary on words and phrases in the Pāli Dhammapada. The Pali textual tradition spread into Burma and Thailand where Pali scholarship continued to flourish with such works as the Aggavamsa of Saddaniti and the Jinakalamali of Ratanapañña. Pali literature continued to be composed into the modern era, especially in Burma, and writers such as Mahasi Sayadaw translated some of their texts into Pali. There are numerous Tantric Theravada texts, mostly from Southeast Asia. This tradition flourished in Cambodia and Thailand before the 19th century reformist movement of Rama IV. One of these texts has been published in English by the Pali Text Society as "Manual of a Mystic". Burmese Buddhist literature developed unique poetic forms form the 1450s onwards, a major type of poetry is the pyui' long and embellished translations of Pali Buddhist works, mainly jatakas. A famous example of pyui' poetry is the Kui khan pyui' (the pyui' in nine sections, 1523). Burmese commentaries or nissayas and were used to teach Pali. The nineteenth century saw a flowering of Burmese Buddhist literature in various genres including religious biography, Abhidharma, legal literature and meditation literature. An influential text of Thai literature is the "Three Worlds According to King Ruang" (1345) by Phya Lithai, which is an extensive Cosmological and visionary survey of the Thai Buddhist universe. See Mahayana Sutras for historical background and a list of some sutras categorised by source. These deal with prajñā (wisdom or insight). Wisdom in this context means the ability to see reality as it truly is. They do not contain an elaborate philosophical argument, but simply try to point to the true nature of reality, especially through the use of paradox. The basic premise is a radical non-dualism, in which every and any dichotomist way of seeing things is denied: so phenomena are neither existent, nor non-existent, but are marked by sunyata, emptiness, an absence of any essential unchanging nature. The Perfection of Wisdom in One Letter illustrates this approach by choosing to represent the perfection of prajñā with the Sanskrit/Pali short a vowel ("अ", pronounced [ə])—which, as a prefix, negates a word's meaning (e.g., changing svabhava to asvabhava, "with essence" to "without essence"; cf. mu), which is the first letter of Indic alphabets; and that, as a sound on its own, is the most neutral/basic of speech sounds (cf Aum and bija). Many sutras are known by the number of lines, or slokas, that they contained. The Prajñāpāramitā texts have influenced every Mahayana school of Buddhism. Also called the Lotus Sutra, White Lotus Sutra, or Sutra on the White Lotus of the Sublime Dharma; (Sanskrit: सद्धर्मपुण्डरीकसूत्र Saddharmapundarīka-sūtra; 妙法蓮華經 Cn: Miàofǎ Liánhuā Jīng; Jp: Myōhō Renge Kyō. Probably composed in its earliest form in the period 100 bce–100 ce, the sutra proposes that the three yanas (Shravakayana, Pratyekabuddhayana, and Bodhisattvayana) are not in fact three different paths leading to three goals, but one path, with one goal. The earlier teachings are said to be of 'skillful means' in order to help beings of limited capacities. Notable for the (re)appearance of the Buddha Prabhutaratna, who had died several aeons earlier, because it suggests that a Buddha is not inaccessible after his parinirvana, and also that his life-span is said to be inconceivably long because of the accumulation of merit in past lives. This idea, though not necessarily from this source, forms the basis of the later Trikaya doctrine. Later associated particularly with the Tien Tai in China, Tendai school in Japan, and the Nichiren schools in Japan. There are three major sutras that fall into this category: the Infinite Life Sutra, also known as the Larger Pure Land Sutra; the Amitabha Sutra, also known as the Smaller Pure Land Sutra; and the Contemplation Sutra (also known as the Visualization Sutra). These texts describe the origins and nature of the Western Pure Land in which the Buddha Amitabha resides. They list the forty-eight vows made by Amitabha as a bodhisattva by which he undertook to build a Pure Land where beings are able to practise the Dharma without difficulty or distraction. The sutras state that beings can be reborn there by pure conduct and by practices such as thinking continuously of Amitabha, praising him, recounting his virtues, and chanting his name. These Pure Land sutras and the practices they recommend became the foundations of Pure Land Buddhism, which focus on the salvific power of faith in the vows of Amitabha. Composed in its earliest form some time before 150 CE, the Bodhisattva Vimalakirti appears in the guise of a layman in order to teach the Dharma. Seen by some as a strong assertion of the value of lay practice. Doctrinally similar to the Perfection of Wisdom texts, a major theme is the Buddhafield (Buddha-kshetra), which was influential on Pure Land schools. Very popular in China, Korea and Japan where it was seen as being compatible with Confucian values. Amongst the very earliest Mahayana texts, the Samadhi Sutras are a collection of sutras focused on the attainment of profound states of consciousness reached in meditation, perhaps suggesting that meditation played an important role in early Mahayana. Includes the Pratyutpanna Sutra and the Shurangama Samadhi Sutra. The Triskandha Sutra, and the Suvarnaprabhasa Sutra (or Golden Light Sutra), which focus on the practice of confession of faults. The Golden Light Sutra became especially influential in Japan, where one of its chapters on the 'Universal Sovereign' (Sanskrit: Chakravartin) was used by the Japanese emperors to legitimise their rule, and it provided a model for a well-run state. A large composite text consisting of several parts, most notably the Dasabhumika Sutra and the Gandavyuha Sutra. It exists in three successive versions, two in Chinese and one in Tibetan. New sutras were added to the collection in both the intervals between these. The Gandavyuha Sutra is thought to be the source of a sect that was dedicated specifically to Vairocana, and that later gave rise to the Mahavairocana-abhisambodhi tantra. The Mahavairocana-abhisambodhi became one of the two central texts in Shingon Buddhism and was included in the Tibetan canon as a tantra of the carya class. 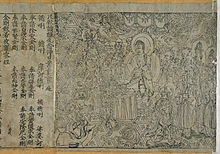 The Avatamsaka Sutra became the central text for the Hua-yen (Jp. Kegon) school of Buddhism, the most important doctrine of which is the interpenetration of all phenomena. These sutras primarily teach the doctrine of vijnapti-matra or 'representation-only', associated with the doctrines of the Yogacara school. The Sandhinirmocana Sutra (c 2nd Century CE) is the earliest surviving sutra in this class (and according to some Gelugpa authorities the only one). This sutra divides the teachings of the Buddha into three classes, which it calls the "Three Turnings of the Wheel of the Dharma." To the first turning, it ascribes the Agamas of the Shravakas, to the second turning the lower Mahayana sutras including the Prajna-paramita Sutras, and finally sutras like itself are deemed to comprise the third turning. Moreover, the first two turnings are considered, in this system of classification, to be provisional while the third group is said to present the final truth without a need for further explication (nitartha). Especially the Tathagatagarbha Sutra, the Shrīmālādevi-simhanāda Sūtra (Srimala Sutra), the Angulimaliya Sutra, the Anunatva-Apurnatva-Nirdesa Sutra, and the Mahayana Mahaparinirvana Sutra (which differs in character from the Pali Mahaparinibbana Sutta). These texts teach that every being has a Tathagatagarbha: variously translated as Buddha nature, Buddha seed, Buddha matrix. It is this Buddha nature, Buddha Essence or Buddha Principle, this aspect of every being that is itself already enlightened, that enables beings to be liberated. One of the most important responses of Buddhism to the problem of immanence and transcendence. 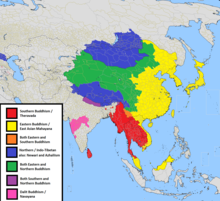 The Tathagatagarbha doctrine was very influential in East Asian Buddhism, and the idea in one form or another can be found in most of its schools. The well-known Lankavatara Sutra, composed sometime around the 4th century, is sometimes included in thevijnapti-matra group associated with the Yogacara teachings, however D.T. Suzuki sees the Lankavatara as clearly pre-dating and distinguished from Yogacara. The Lankavatara teaches cittamatra (mind only) not that of vijnaptimatra of the Yogacara. [note 3] Also, central to the Lankavatara is the identity of the alayavjnana with the tathagata-garbha and the Lankavatara's central message that the tathagata-garbha is what makes possible the turning inward (paravritti or paravrtti) of awareness to realize the Buddha's psychological transformation in practical life, while the tathagata-garbha system was unknown or ignored by the progenitors of the Yogacara system. The Lankavatara Sutra was influential in the Chan or Zen schools. These are two large sutras, which are actually collections of other sutras. The Mahāratnakūta Sūtra contains 49 individual works, and the Mahāsamnipāta Sūtra is a collection of 17 shorter works. Both seem to have been finalised by about the 5th century, although some parts of them are considerably older. These include a number of sutras that focus on actions that lead to existence in the various spheres of existence, or that expound the doctrine of the twelve links of pratitya-samutpada or dependent-origination. These focus on the principles that guide the behaviour of Bodhisattvas. They include the Kāshyapa-parivarta, the Bodhisattva-prātimoksa Sūtra, and the Brahmajala Sutra. This is a large number of sutras that describe the nature and virtues of a particular Buddha or Bodhisattva and/or their Pure Land, including Mañjusri, Ksitigarbha, the Buddha Akshobhya, and Bhaishajyaguru also known as the Medicine Buddha. Early in the 20th Century, a cache of texts was found in a mound near Gilgit, Afghanistan. Among them was the Ajitasena Sutra. The Ajitasena Sutra appears to be a mixture of Mahayana and pre-Mahayana ideas. It occurs in a world where monasticism is the norm, which is typical of the Pali Suttas; there is none of the usual antagonism towards the Shravakas (also called the Hinayana) or the notion of Arahantship, which is typical of Mahayana Sutras such as the White Lotus, or Vimalakirti Nirdesha. However, the sutra also has an Arahant seeing all the Buddha fields, it is said that reciting the name of the sutra will save beings from suffering and the hell realms, and a meditative practice is described that allows the practitioner to see with the eyes of a Buddha, and to receive teachings from them that are very much typical of Mahayana Sutras. The Mahayana commentarial and exegetical literature is vast. Many commentarial texts are called Shastras, a by-word used when referring to a scripture. Extending this meaning, the shastra is commonly used to mean a treatise or text written in explanation of some idea, especially in matters involving religion. In Buddhism, a shastra is often a commentary written at a later date to explain an earlier scripture or sutra. Central to much of Mahayana philosophy are the works of the Indian scholar Nagarjuna. Especially important is his magnum opus, the Mūlamadhyamika-karikā, or Root Verses on the Middle Way, a seminal text on the Madhyamika philosophy. Another very influential work which traditionally attributed to Nagarjuna In East Asia is the Dà zhìdù lùn (*Mahāprajñāpāramitopadeśa, The Great Discourse on Prajñāpāramitā). This is a massive Mahayana Buddhist treatise and commentary on the Prajñāpāramitā sutra in Twenty-five Thousand Lines, and it has been extremely important in the development of the major Chinese Buddhist traditions. It's authorship to Nagarjuna however has been questioned by modern scholars and it only survives in the Chinese translation by Kumārajīva (344–413 CE) . The Yogācārabhūmi-Śāstra (fourth century CE) is another very large treatise which focuses on yogic praxis and the doctrines of the Indian Yogacara school. Unlike the Da zhidu lun, it was studied and transmitted in both the East Asian Buddhist and the Tibetan Buddhist traditions. The works of Asanga, a great scholar and systematizer of the Yogacara, are also very influential in both traditions, including his magnum opus, the Mahāyāna-samgraha, and the Abhidharma-samuccaya (a compendium of Abhidharma thought that became the standard text for many Mahayana schools especially in Tibet). Various texts are also said to have received by Asanga from the Bodhisattva Maitreya in the Tushita god realm, including works such as Madhyāntavibhāga, the Mahāyāna-sūtrālamkāra, and the Abhisamayālamkara. Their authorship remains disputed by modern scholars however. Asanga's brother Vasubandhu wrote a large number of texts associated with the Yogacara including: Trisvabhāva-nirdesa, Vimsatika, Trimsika, and the Abhidharmakośa-bhāsya although this work predates his conversion to the Mahayana and a minority of scholars speculate that there may have been two different Vasubandhus who composed these works. Most influential in the East Asian Buddhist tradition was probably his Thirty Verses on Consciousness-only. The 9th Century Indian Buddhist Shantideva produced two texts: the Bodhicaryāvatāra has been a strong influence in many schools of the Mahayana. It is notably a favorite text of the fourteenth Dalai Lama. The text begins with an elaborate ritual worship section, but goes on to expound the six perfections. The 9th chapter is a critique of various views on perfect wisdom from the Madhyamika point of view. Shantideva also produced the Shikshasamuccaya, which is a compendium of doctrines from a huge range of Mahayana Sutras – some of which no longer exist and therefore are known only through his quotes. Dignāga is associated with a school of Buddhist logic that tried to establish which texts were valid sources of knowledge (see also Epistemology). He produced the Pramāna-samuccaya, and later Dharmakirti wrote the Pramāna-vārttikā, which was a commentary and reworking of the Dignaga text. The Awakening of Faith in the Mahayana (Dàshéng Qǐxìn Lùn) is an influential text in East Asian Buddhism, especially in the Hua-yen school of China, and its Japanese equivalent, Kegon. While it is traditionally attributed to Ashvaghosha, most scholars now hold it is a Chinese composition. The early period of the development of Chinese Buddhism was concerned with the collection and translation of texts into Chinese and the creation of the Chinese Buddhist canon. This was often done by traveling overland to India, as recorded in the Great Tang Records on the Western Regions, by the monk Xuanzang (c. 602 – 664), who also wrote a commentary on Yogacara which remained influential, the Ch' eng wei shih lun. East Asian Buddhism began to develop its own unique doctrinal literature with the rise of the Tiantai School and its major representative, Zhiyi (538–597 CE) who wrote important commentaries on the Lotus sutra as well as the first major comprehensive work on meditation composed in China, the Mohe Zhiguan (摩訶止観). Another important school of Chinese Buddhism is Huayan, which focused on developing their philosophical texts from the Avatamsaka Sutra. An important patriarch of this school is Fazang who wrote many commentaries and treatises. 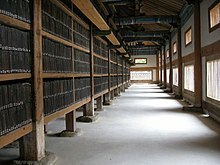 Zen Buddhism developed a large literary tradition based on the teachings and sayings of Chinese Zen masters. One of the key texts in this genre is the Platform Sutra attributed to Zen patriarch Huineng, it gives an autobiographical account of his succession as Ch'an Patriarch, as well as teachings about Ch'an theory and practice. Other texts are Koan collections, which are compilations of the sayings of Chinese masters such as the Blue Cliff Record and The Gateless Gate. Another key genre is that of compilations of Zen master biographies, such as the Transmission of the Lamp. Buddhist poetry was also an important contribution to the literature of the tradition. After the arrival of Chinese Buddhism in Japan, Korea and Vietnam; they developed their own traditions and literature in the local language. Image of leaves and the upper book cover of Thar pa chen po’i mod (The Sūtra of Great Liberation), showing Tibetan writings on black paper with an ink that contain gold, silver, copper, coral, lazurite, malachite, and mother of pearl. The unbound sheets are kept between two wooden boards covered with green brocade. The upper book cover shows the images of four of the Eight Medicine Buddhas. The Tibetan Buddhist canon includes a number of Nikaya-related texts from the Mula-Sarvastivada school, as well as Mahayana sutras. However, it is the specifically Vajrayana texts that most strongly characterise it. They are considered to be the word of the Buddha (Buddhavacana), and the Tibetan Kangyur contains translations of almost 500 tantras. The texts are typically concerned with elaborate rituals and meditations. Kriyā tantras. These form a large subgroup that appeared between the 2nd and 6th centuries. The Kriya tantras focus on ritual actions. Each centres on a particular Buddha or Bodhisattva, and many are based on dharanis. Examples include the Mahāmegha Sutra, the Ārya-mañjushrī-mūla-kalpa, the Subhāhu-pariprcchā Sutra, and the Aparimitāyur-jñāna-hrdaya-dhāranī. Also included in this category are some Mahayana texts such as the Heart Sutra and, in some editions, versions of some texts found in the Pali Canon. Carya tantras. This is a small class of texts that probably emerged after the 6th century and are entirely centred on the worship of the Buddha Vairocana. The best known example is the Mahā-vairocanābhisambodhi Tantra, also known as the Mahavairocana Sutra, which became a foundational text for the Shingon School of Japan. Yoga tantras likewise focus on Vairocana, and include the Sarva-tathāgata-tattva-samgraha Tantra and the Sarva-durgati-parishodhana Tantra. The Shurangama Sutra and the Shurangama Mantra from which it (called the Shitatapatra Ushnisha Dharani) comes can be included in this category. According to Venerable Tripitaka Master Bhikshu Shramana Hsuan Hua's "Shurangama Mantra Commentary" (Buddhist Text Translation Society of the City of Ten Thousand Buddhas, 1981, Volume 1), the Shurangama Mantra mystically and literally includes all of the Buddha Dharma in its entirety, and its focus is on the Five Dhyana Buddhas (Vairochana, Amitabha), Akshobhya, Ratnasambhava, and Amoghasiddhi, with stress on Vairochana and Ashobhya Buddhas) and their retinues of Dharmapalas and wrathful deities in male and female forms, such as Vajrapani, wrathful Manjushri, Mahakala, Tara, Pandaravasini, Prakruti, Uchushma Fire Head Vajra, Brahma, Indra, Shiva as Rudra, Raudri-Umapati form of Vajrayogini, Narayana, Ganapati, various Dhakinis, Naga kings, Yaksha kings, Rakshasha kings, and many other Dharma Protectors of the Buddhist Pantheon and Vedic pantheon. The primary wrathful Goddess of the Shurangamma Mantra tantric practice is the Great White Umbrella Deity form of Avalokiteshvara Bodhisattva, an important practice in Tibetan Buddhism. Anuttara tantras. The most advanced class of tantra is the Anuttarayoga tantra, which focus on mental transformation and less on ritual actions. These are sometimes further divided into the so-called Father Tantras and Mother Tantras. First there are the yogottara, or higher union, tantras, also known as father tantras, or skilful means, (Sanskrit: upāya) tantras. They focus on the Buddha Akshobhya and his consort Māmaki. The Guhya-samāja Tantra comes from this class of tantras, dating probably from the 8th century. Secondly prajña or mother tantras, also known as yogini tantras, dating from the late 8th century. Akshobhya is still the central figure, but he now appears in his wrathful form as Heruka. Female figures take on a much greater significance, becoming as important as male figures, if not more so. The Samvara Tantra was translated into Tibetan in the 8th century. Other members of this class, such as the Hevajra Tantra, appeared in the 10th century. The Kalachakra tantra is sometimes said to be an advaya or non-dual tantra. It appeared very late in the development of tantric Buddhism - in the mid-11th century - and is written in classical Sanskrit, rather than the usual mixture of Prakrit and the characteristic "allusive speech" of twilight language, (Sanskrit:samdhyābhāshā). For the first time the teachings refer to the ādhibuddha, or primordial Buddha. Anuttaratantra is known in the Nyingma school as Mahayoga. This school also has a collection of tantras of its own, not found in the other Tibetan schools. Textual evidence suggests that some of these texts are in fact Shaivite Tantras adopted and adapted to Buddhist purposes, and many similarities in iconography and ritual can be seen in them. A sadhana is a tantric spiritual practices text used by practitioners, primarily to practice the mandala or a particular yidam, or meditation deity. The Sādhanamālā is a collection of sadhanas. Vajrayana adepts, known as mahasiddha, often expounded their teachings in the form of songs of realization. Collections of these songs such as the Caryāgīti, or the Charyapada are still in existence. The Dohakosha is a collection of doha songs by the yogi Saraha from the 9th century. A collection known in English as The Hundred Thousand Songs of Milarepa was composed by Tibetan Buddhist yogi Milarepa and is especially popular amongst members of the Kagyu school. Terma are Tibetan Buddhist texts, hidden to be rediscovered at a later date. Padmasambhava and Yeshe Tsogyal wrote and hid most termas, although texts have also been hidden by figures such as Machig Labdron. The best known terma text is probably the Bardo thodol, or 'Awakening in the Bardo State', also known as the Tibetan Book of the Dead. The person who finds a terma text is known as a terton. The Blue Annals (Standard Tibetan: deb ther sngon po) completed in 1476CE, authored by Gölo Zhönnupel (Tibetan: gos lo gzhon nu dpal, 1392–1481), is a historical survey of Tibetan Buddhism with a marked ecumenical view, focusing upon the dissemination of various sectarian traditions throughout Tibet. Namtar, or spiritual biographies, are another popular form of Tibetan Buddhist texts, whereby the teachings and spiritual path of a practitioner are explained through a review of their lifestory. Kūkai wrote a number of treatises on Vajrayana Buddhism that are distinct from his Shingon Buddhism. Yana, Buddhist schools into "yanas" or "vehicles"
^ "It is therefore possible that much of what is found in the Sutta Pitaka is earlier than c. 250 BCE, perhaps even more than 100 years older than this. If some of the material is so old, it might be possible to establish what texts go back to the beginning of Buddhism and may include the substance of the Buddha's teaching, and in some cases, maybe even his words." Alexander Wynne, 2003, p.22 How old is the Suttapitaka? ^ "The difference is this: According to the Vijnaptimatra, the world is nothing but ideas, there are no realities behind them; but the Cittamatra states that there is nothing but Citta, Mind, in the world and that the world is the objectification of Mind. The one is pure idealism and the other idealistic realism." The Lankavatara Sutra, A Mahayana Text, Routledge & Kegan Paul Ltd., London, 1932, introduction p. xi. ^ "The University of Washington Early Buddhist Manuscripts Project". www.ebmp.org. Retrieved 13 April 2008. ^ Johannes Bronkhorst, Buddhism in the Shadow of Brahmanism Handbook of Oriental Studies (Leiden: Brill, 2011), 46-47. ^ Johannes Bronkhorst, Buddhism in the Shadow of Brahmanism Handbook of Oriental Studies (Leiden: Brill, 2011), 56. ^ Edward Craig. "Routledge encyclopedia of philosophy". Awakening of Faith in the Mahayana Korean. Retrieved 6 July 2011. ^ The Path of Purification (Visuddhimagga) by Bhadantācariya Buddhaghosa. Translated from the Pali. First edition 1956. 3rd ed. 1991. ^ Woodward, F.L. Manual of a mystic, Being a Translation from the Pali and Sinhalese Work Entitled The Yogāvachara's Manual. ^ The Lankavatara Sutra, A Mahayana Text, Routledge & Kegan Paul Ltd., London, 1932, introduction p. xvii. ^ Hans-Rudolf Kantor, Philosophical Aspects of Sixth-Century Chinese Buddhist Debates on “Mind and Consciousness” pp. 337–395 in: Chen-kuo Lin / Michael Radich (eds.) A Distant Mirror Articulating Indic Ideas in Sixth and Seventh Century Chinese Buddhism, Hamburg Buddhist Studies, Hamburg University Press 2014. ^ Ramanan, Krishniah Venkata, Dr. (1966). Nāgārjuna's Philosophy as presented in Mahā-prajñāpāramitā-śāstra . Charles E. Tuttle Company of Rutland, Vermont and Tokyo, 1966. page 13. ^ Hsieh, Ding-Hwa (2004). "Awakening Of Faith (Dasheng Qixin Lun)". MacMillan Encyclopedia of Buddhism. 1. New York: MacMillan Reference USA. pp. 38–9. ISBN 0-02-865719-5. The Rider encyclopedia of eastern philosophy and religion. London, Rider, 1989. Skilton, Andrew. A concise history of Buddhism. Birmingham, Windhorse Publications, 1994. Warder, A. K. 1970. Indian Buddhism. Motilal Banarsidass, Delhi. 2nd revised edition: 1980. Williams, Paul. Mahayana Buddhism : the doctrinal foundations. London, Routledge, 1989. Zürcher, E. 1959. The Buddhist Conquest of China: The Spread and Adaptation of Buddhism in early Medieval China. 2nd edition. Reprint, with additions and corrections: Leiden, E. J. Brill, 1972. Susan Murcott. The First Buddhist Women Translations and Commentary on the Therigatha, 1991. Pali Canon in English translation (incomplete). Bibliography of Indian Philosophy, Karl Potter; includes lists of available translations and known or estimated dates of composition of many Buddhist sutras. How old is the Suttapiṭaka? The relative value of textual and epigraphical sources for the study of early Indian Buddhism by Alexander Wynne, St John's College, Oxford University, 2003.